Welcome to the South Korea Travel Planning fortnightly newsletter for 15 July 2018, which includes information to help you plan your trip to South Korea, top travel deals and articles about South Korea. 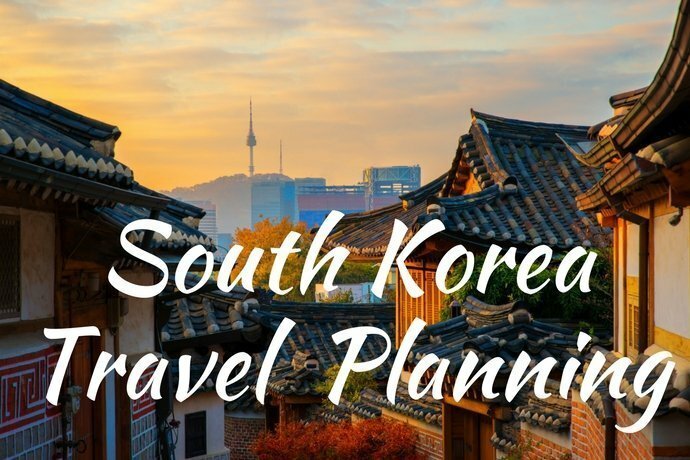 Subscribe below to receive our fortnightly newsletter which includes travel planning information for South Korea, latest deals as well as a selection of the most popular articles from the Facebook Group. You can also receive additional emails to help you plan your trip to South Korea, as well as our pre-departure checklist to ensure you are ready to depart! Boryeong Mud Festival is currently being held in Boryeong (3 hours south of Seoul) over 13-22 July 2018. Tickets available through Trazy include ticket only, or as a day trip package from Seoul including optional add ons. Click here to check out the options and make your booking. Pohang International Fireworks Festival will be held in Pohang (3 hours south of Seoul) over 25 – 29 July 2018. Tickets and overnight shuttle bus are available through Trazy for departures from either Seoul or Busan. Click here to check out the options and make your booking. Incheon Pentaport Rock Festival will be held in Incheon (30 minutes west of Seoul) over 10 – 12 August 2018. Unfortunately tickets are already sold out through the main ticket sellers. There are options to purchase reseller tickets through viaGoGo, however be aware that for this option you have a higher risk of fraudulent tickets. Click on this link to see the options and make your booking. The Busan Sea Festival will be held in Busan over 1 – 5 August 2018. The Busan International Rock Festival will be held in Busan over 10 – 12 August 2018. Tickets are free. There are many other summer festivals and a great way to see what is on offer is to check out the festival page on Trazy at this link. Trazy offer an easy option to plan your visit and to book your tickets and transportation in advance. Day Tour from Seoul: Gangchon Rail Park, Nami Island & the Garden of Morning Calm. Nami Island is located to the east of Seoul, and this tour provides an easy option to get there and explore, and also package in visits to nearby Petite France and Gangchon Rail Park. Click here to check out prices and availability and to make your booking through Trazy. Day Tour from Seoul: Seoraksan National Park and Nami Island. Seoraksan National Park is located to the east of Seoul, and Nami Island is not far off the transportation route. As a result this tour provides a great option to see both sites in a single day trip from Seoul. Click here to check out prices and availability and to make your booking through Trazy. DMZ Shuttle Bus and Ticket Package Half Day Tour. This tour enables you to visit the Demilitarised Zone (DMZ) between North and South Korea, as well as other historic locations. This tour is suitable for families with younger children. Click here to check prices and availability and to make your booking through Trazy. DMZ and JSA Full Day Tour. This tour enables you to visit the Demiliarised Zone (DMZ) between North and South Korea as well as other historical locations. In addition you will be able to visit the Joint Security Area (JSA) which includes walking through the Unification Bridge. This tour is only suitable for families with children aged 11 years old and above, and there are also specific restrictions and requirements for particular nationalities. Click here to check prices and availability and to make your booking through Trazy. South Korea’s President Moon Jae-in convinced North Korean leader Kim Jong Un that the Korean Demilitarized Zone (DMZ) is best site for the Trump/Kim summit, according to an official with deep knowledge of North Korea’s thinking on the matter. Please leave a comment to let me know any suggestions for improvement!